There’s a long list of things that need to be done when you’re the project manager on a construction, demolition or renovation project. The last thing you want to deal with on the job is what to do about the scrap metal waste that’s being produced. Often, these materials are disposed of like common trash when it could be a profitable resource to work with a scrap metal recycler. 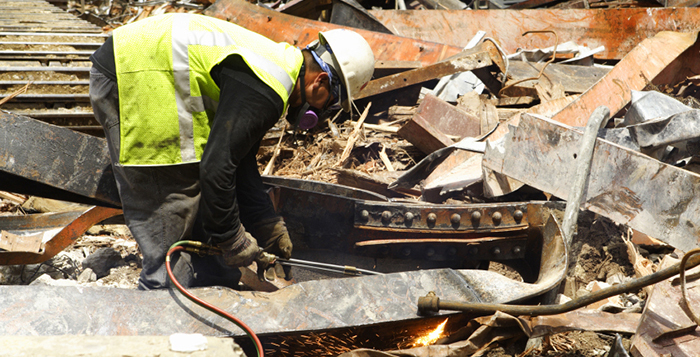 Let Alton Materials take care of all of the hassles related to managing scrap metal waste. We’ll use our twelve years of expertise as a scrap metal recycling contractor to create a plan tailor-made to the way you do business. Our crews will take care of everything, from assessment and sorting to collection and brokering, leaving you with less to worry about and more money to boost your bottom line. Don’t add more work for yourself dealing with the scrap metal your project generates. Make that scrap work for you – rely on total scrap management from Alton Materials. Contact us to learn more about how working with Alton Materials can make every construction, demolition, or rail project an easier and more profitable one.